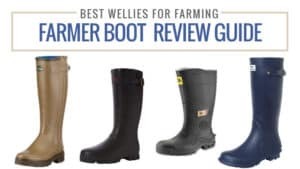 When you live out in the countryside it is vital that you have a good pair of Wellington boots to get you through bogs of mud and across even the most treacherous fields. 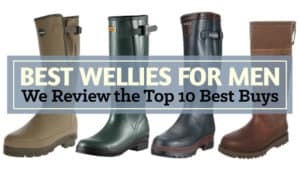 I have been through many pairs of welly boots in my day, and it has been hard to find a pair that can withstand piles of muck, remain waterproof, and last me a while. 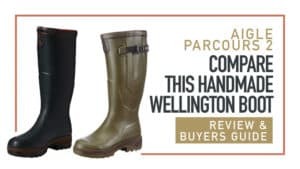 In some ways, I had given up the search for the ideal wellies, and ones that were actually affordable for me as opposed to a £250 pair. 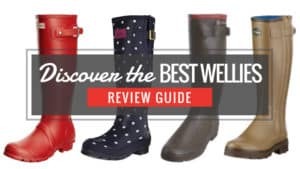 It can be hard to combine affordability and quality together, but when I came across the Rockfish Walkabout Wellington Boots I was interested to try them out. 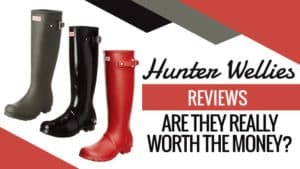 They came at a reasonable price, and one that wasn’t going to leave me broke until next payday, but they also promised me durability and reliability in my everyday life. That’s what really sold me, and I knew that they were going to be something I simply had to try out. 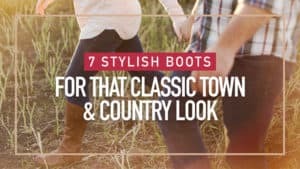 These boots were great, and they are holding up well after everything I put them through both on and around the land I live on. 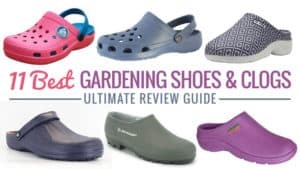 While they are not perfect, and there are a few things that I would have liked changed, they have been a great set of footwear for me. 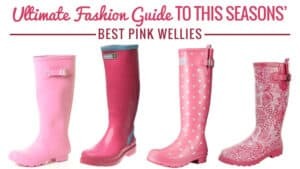 However, don’t let me spoil it for you here, take a moment to keep on ready and find out why these are such great wellies. Reliable, sturdy, robust, and ready to go. 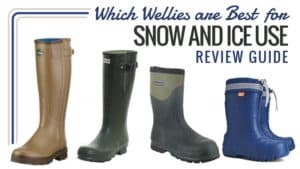 These wellies offer you more than you could have ever hoped for, and come in one seriously neat package. 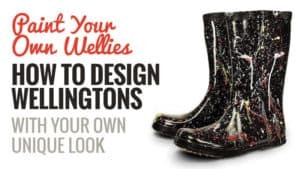 Made for those who live in Wellington boots, these are sure to serve you well in any situation. 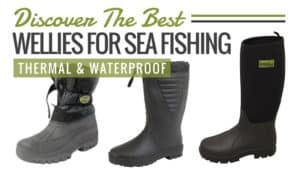 With a soft and comfortable neoprene lining that make these perfect for annual use, you’ll be wondering why you didn’t get them sooner. 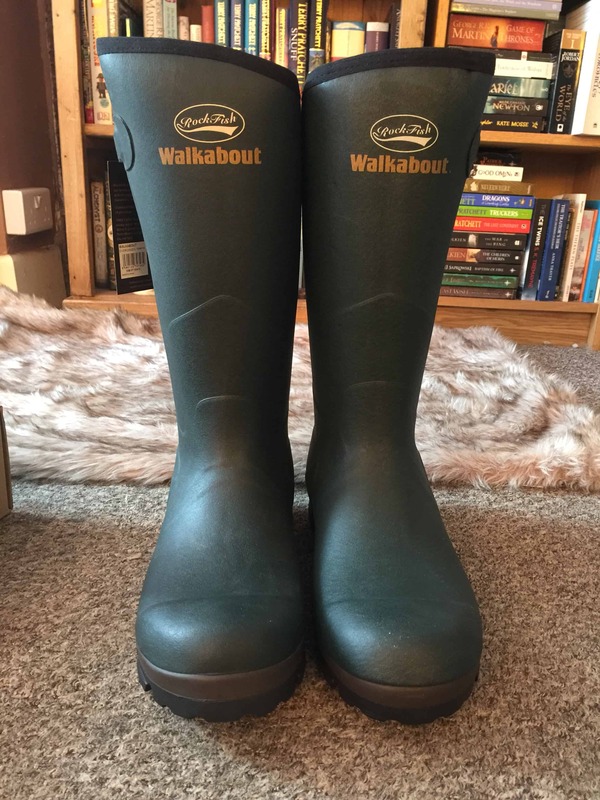 In all honesty, I was really pleased with the Rockfish Walkabout Wellington Boots, and while it was a brand that was new to me I know that it is also one that many are happy to trust for quality footwear. 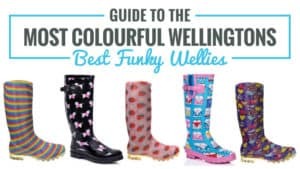 It is the ideal welly if you are in search of something that will keep your feet warm in cold weather and cool in hot conditions, so they can be worn throughout the year without an issue. 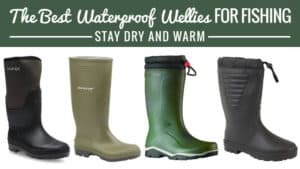 If you need wellies all year, and ones that are really comfortable, then this is probably the pair that is going to work best for you. 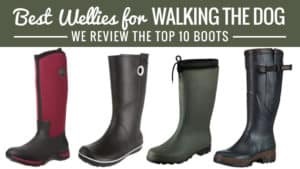 However, if you aren’t too keen on the process of breaking them in, or you have very wide feet, there are other models of Rockfish welly that might be better suited to you. 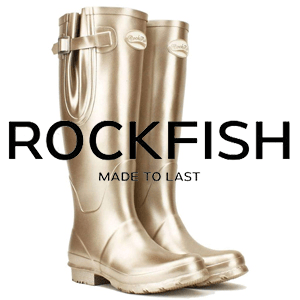 Thankfully, Rockfish have a great selection to choose from if these aren’t a perfect match. I was really pleased with the way that these boots were shipped to me. They came in a large box for shipping, and there was a shoe box inside that. 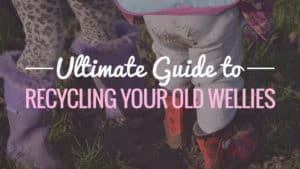 The packaging around the shoe box was minimal, but you don’t need much for wellies and I found it to be an Eco-friendlier way to ship them as everything was recyclable. 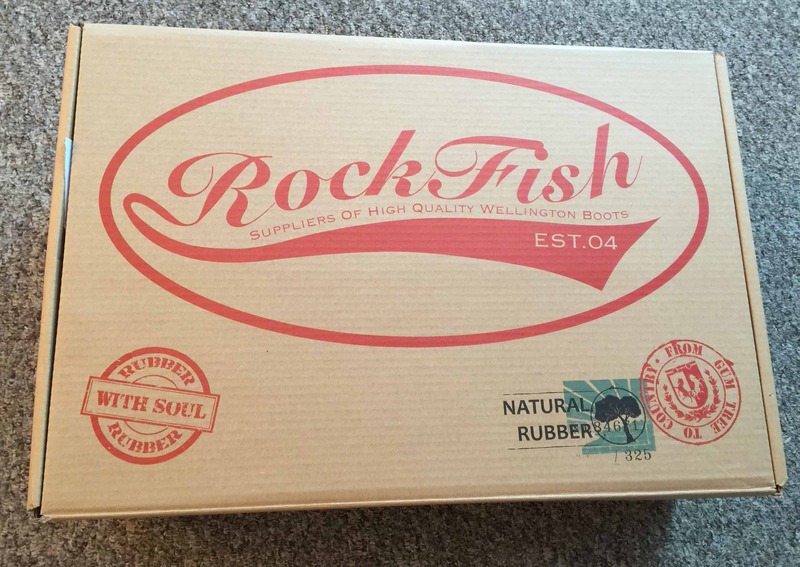 Upon opening the shoe-box, which was brilliantly decorated with the Rock fish logo, I was impressed to find the boots neatly laid inside with paper covering them to prevent scratches or scuffs. 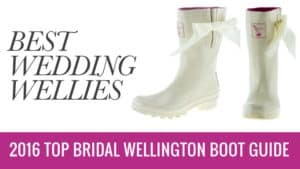 The boots themselves were stuffed with a cardboard filler that ensured they kept their shape, as well as balled paper in the feet. Overall, the unboxing experience was a great one. 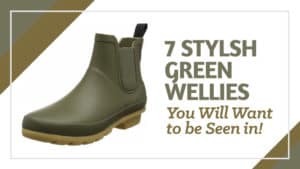 I picked the green Rockfish Walkabout Wellington Boots, and I have to say that the physical boot is actually identical to the image on the website in terms of colour, which I was pleased with as I don’t usually get such a close match. They have a matte finish, so they don’t shine either. 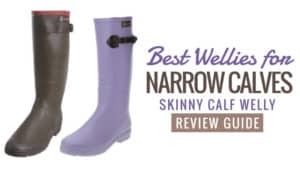 The shape of them is unique too, in a good way, with a slanted top that makes for a better fit around the calf. They are tall as well, nearly touching the knee, but with enough flexibility to ensure that you can move around freely. 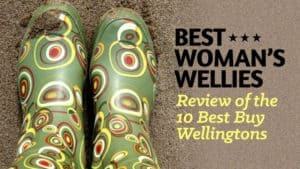 This also means that my jeans were far less at risk of mud splashes when I was wearing them outside. 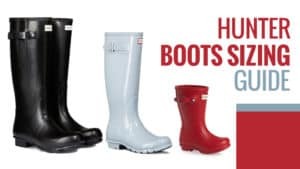 The logo on the front of each boot is nicely placed as well, and it blends in nicely with the colour so that it doesn’t stand out too much. Personally, I quite like this. 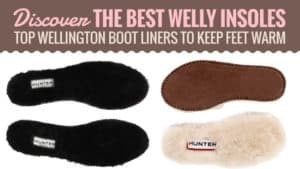 When putting them on for the first time, I found that they were really easy to slide on and off, which is great because I often find that boots stick to me a little, and this can make removing them a chore. 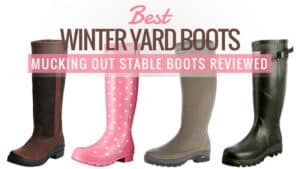 The transition was a smooth one, and I did not need the assistance of a show horn or heel step to get them off after a walk or working outside. 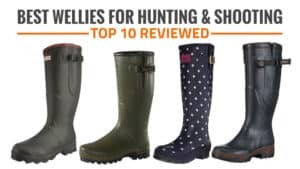 You can tell that they were based on hiking boots, as the description says, because the design is very robust and clearly quite durable. The rubber is thick as well, which makes me confident that they will be able to withstand everything I put them through. 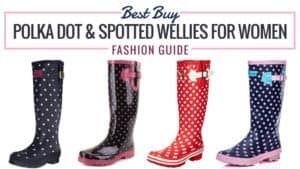 Additionally, they are waterproof, and they wash off easily as well, so they don’t end up caked in mud all the time. Another thing that I really liked was the fact that they are resistant to horse urine. Yes, I got to test this out, and yes, it is true. 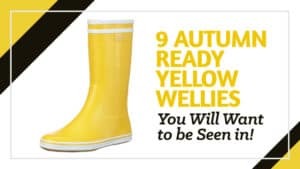 These wellies are definitely able to resist both the moisture and the smell that is left behind. 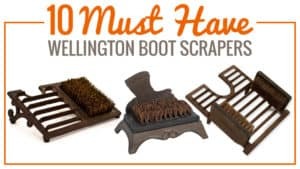 For those who spend a lot of time on the yard (and a lot of time washing the odour out), these could be the perfect solution for you. The adjustable gusset on the side is not just a stylish addition, it is also fully functional and massively beneficial. 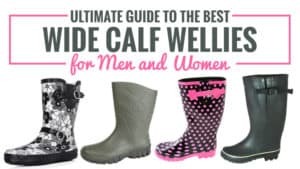 It stretches quite well, so even those with wide calves should be able to slide in nicely. 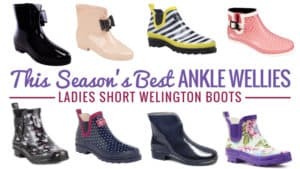 Mine are about average, and I actually had to tighten them a little to get the fit that I wanted – so you should be just fine if you feel that most boots are too narrow for you. The overall fit is great. As soon as I slid them on, I could feel them wrap comfortable around my foot. 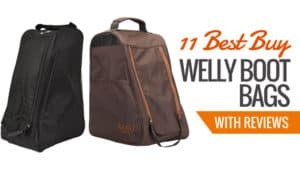 It was smooth and easy, with enough room for a good pair of socks (not that they are needed), as well as space for my foot to be flexible when needed. You can feel the support that it offers your foot, ankle, and back as well, which I was very satisfied with. The fit is snug, but in a good way once you have broken them in. The only thing I will say is that the area that covers the top of the foot was very tight to start with, but it eased up the more I wore them. 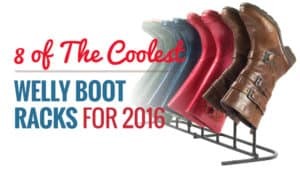 Those with very wide feet might want to reconsider this pair. The foot bed is very comfortable and also padded, offering you some extra support when you are walking or working. 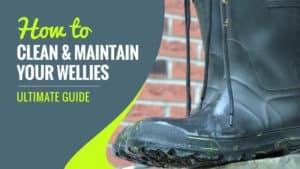 I often live in my wellies, so this was a key feature for me as I did not find my feet were sore or tired after a day of fixing up my garden and walking the dog. Even over time the insole has remained excellent. 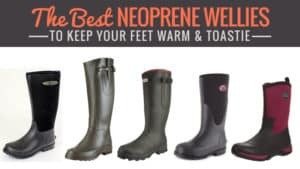 There is also the 4mm neoprene lining, something that more people should consider when investing in wellies. 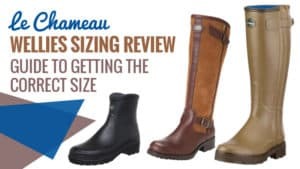 I found it incredibly comfortable, and the softness was one of the first things I noticed when I tried them on. 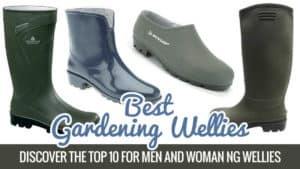 So far, they have kept my feet warm and dry during rainy days, as well as perfectly cool during the recent heatwaves. I really cannot complain, and the lining is one of the best features. 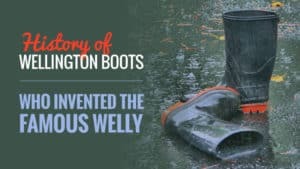 The sole on the Rockfish Walkabout Wellington Boots is thick and tough, you can tell that it was designed to be durable and resistant to heavy use. The outsole is made from rubber, with an EVA midsole for added protection and reliability. It is also shock-absorbent, which is great for a whole range of situations, and I tested this feature extensively. 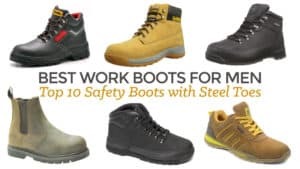 The sole itself is also cleated, which offers you better grip and tread when out walking. As someone who ventures across a variety of terrains each day, I really got a lot of use out of this particular feature. 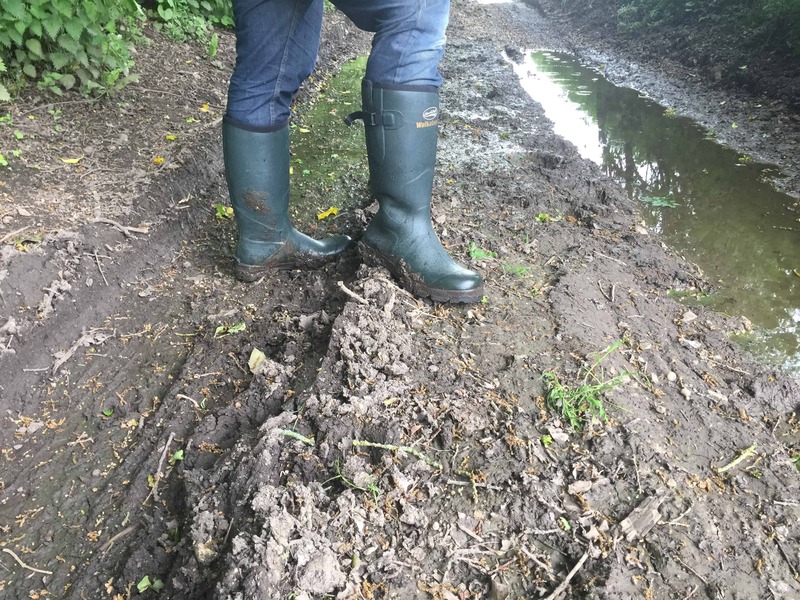 Slippery and muddy conditions were nothing for these boots, and they were able to tackle the land effortlessly. 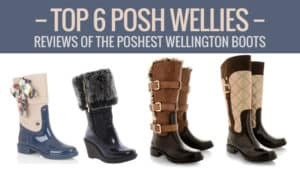 Hopefully, our Rockfish Walkabout Wellington Boot unboxing has helped you figure out if these are going to be right for you, and your needs. They are beautifully handcrafted and designed to be tough, as well as resistant to most of the things you throw at them. 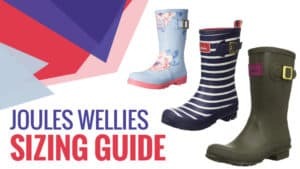 If you live in your wellies and want something affordable, then you really don’t need to look much further. 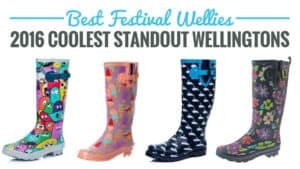 As I am sure you can tell, I am more than a little impressed with these wellies and all that they have to offer me. Of course, there are some negatives, but there were only two that I found when wearing these. 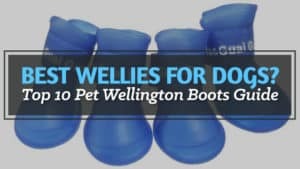 The first is that they do need to be broken in, and while this doesn’t take much time at all, it may take you a few days to get used to them. 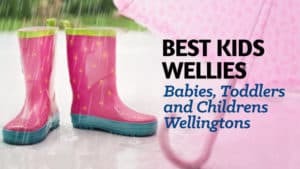 There is also the issue with the tightness that can occur over the top of the foot, which is something those with very wide feet should avoid. While this went away with breaking them in for me, it is still something to keep in mind. 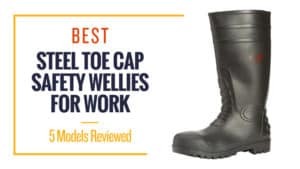 With everything in mind, including the vast number of positives, I would be happy to award these excellent wellies 4/5. 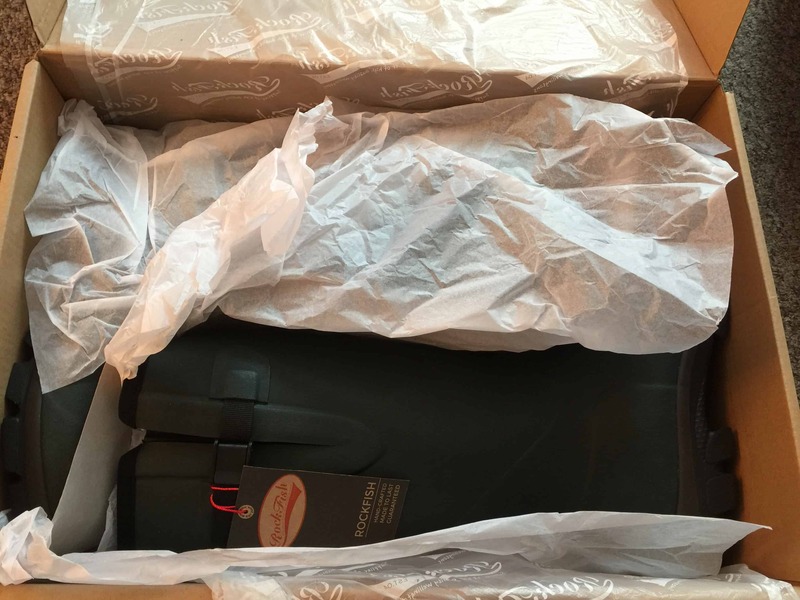 What did you think of our Rockfish Walkabout Wellington Boot unboxing review? Do you agree with our thoughts, or are there others that you think are better suited to the task? We love hearing from you, so make sure you leave us a message in the comments below.